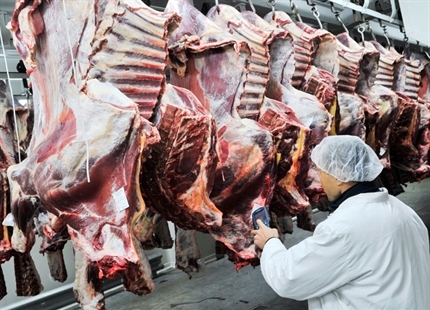 When a freshly slaughtered carcass is initially chilled to its storage temperature, it will lose weight through moisture loss to the atmosphere. Depending on the chilling process, this can be up to 3% of its overall weight. 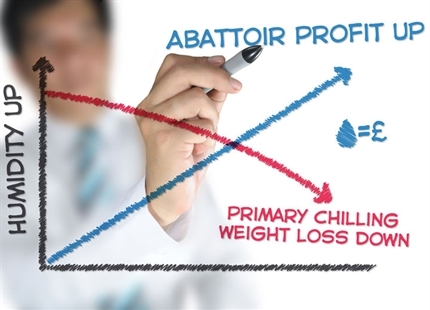 The highest losses will occur in the early stages when the temperature difference between the carcass and its surrounding chill store atmosphere is at its greatest. 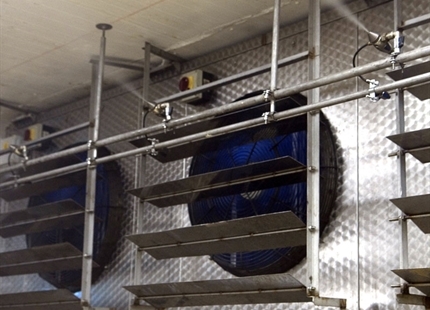 This will have an immediate impact on the profitability of an abattoir operation, as it can stop around 4kg of product evaporating from a typical side of beef during the chill down process. 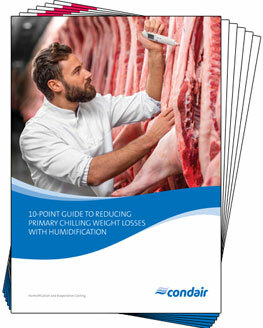 As well as improving profits through reduced weight loss a higher humidity in a chill store will improve the thermal conductivity of the air. This results in the carcass reaching its storage temperature more rapidly, which in turn reduces refrigeration energy costs and inhibits microbial growth on the meat. 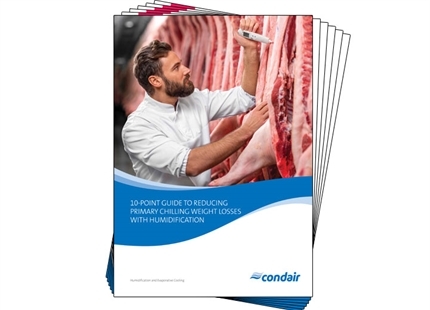 This document presents an introductory step-by-step approach for abattoir managers on how to correctly humidify a primary chilling operation.